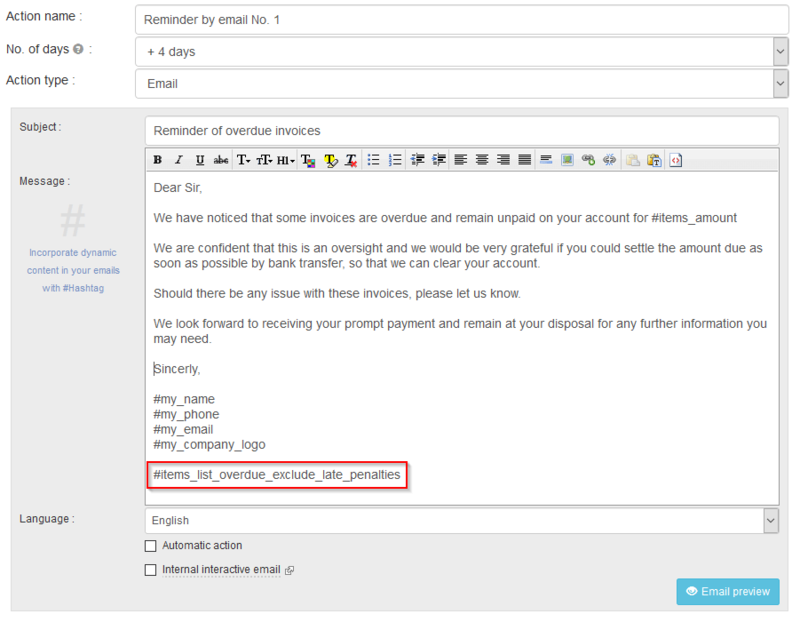 Use the Hashtag #items_list_overdue with exclude_late_penalties ! You want to activate by default late payment penalties and / or recovery cost to some of your customers (risky, bad payors...), but you don't want them to be applied on the first reminders of the collection scenario? This makes possible to apply the late payment penalties on the desired actions without having to activate / deactivate them on customer account with each change (they remain activated permanently). Use the Hashtag #items_list_monthly ! What is your collection goal for the current month?